Sometimes history is decided by a hundredth of a second. With this in mind, the Fischer product team developed the Speedmax 3D with Gliding Sidewall. Designed to reduce friction resistance that robs competitors of time and speed, the material can actually be waxed to support unheard levels of glide. Cold Base Bonding enables better wax absorption and grindability, while the RACE CODE seal confirms you have World Cup equipment. 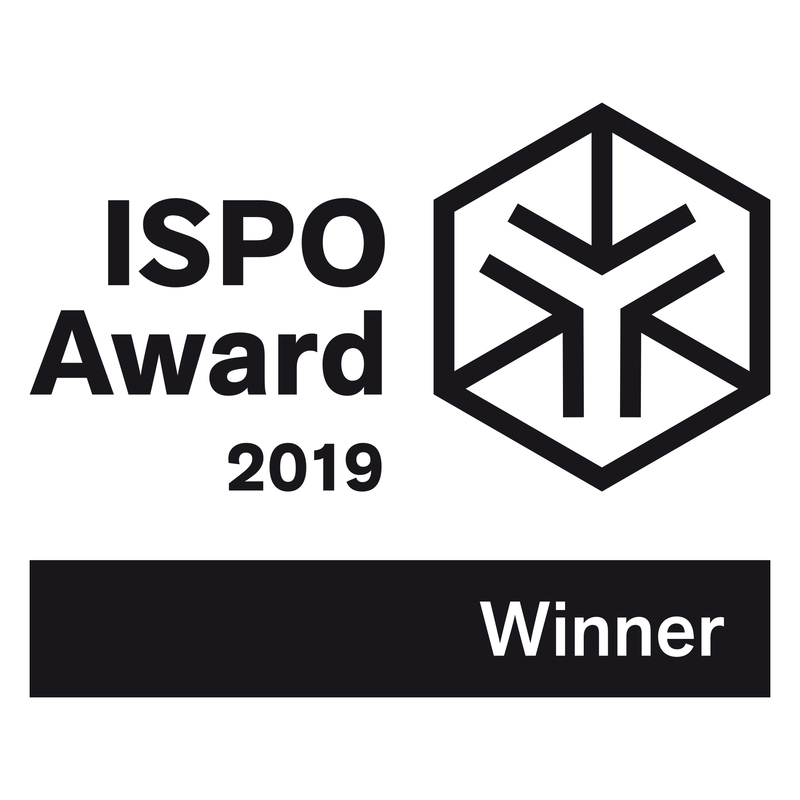 Speedmax 3D has been selected out of a high number of entries as an outstanding product, winning the ISPO AWARD, the highest seal of quality for sporting goods. It only makes sense that skiing in a classic track or angling a skate ski creates contact with more than base of the ski. By adding waxable base material to the sidewalls, the Speedmax 3D construction reduces friction for improved glide speed. Coupled with top technologies to reduce overall ski weight, this new generation of Speedmax was developed with the most successful World Cup racers to be the lightest and fastest ever built. Speedmax 3D - designed for skiers committed to top tier training and racing. Fischer’s exciting new Urban line is for passionate Nordic skiers who want a ski boot that also has comfortable off-ski walkability. Subdued, contemporary styling makes this a boot in which they can feel relaxed and confident before and after skiing. The Urban line challenges the way traditional cross country ski boots look without compromising the performance required on the snow. The specially developed TURNAMIC® Easy Walk sole offers a noticeably improved walkability, so that the Urban Sport also impresses on the way to and from the cross country tracks. The waterproof upper construction and a balance of flexibility and stability let you ski as long as you like in a variety of conditions. The fresh, original look and right-out-of-the-box comfort mean you can wear these boots all day, no matter what you’re doing. 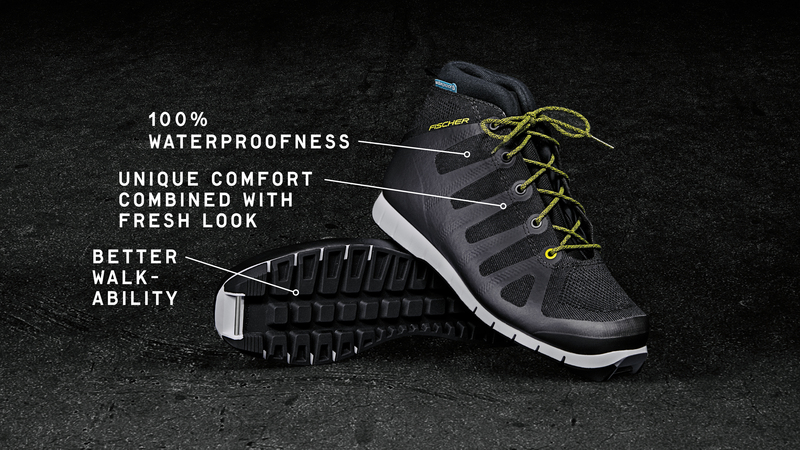 Urban Fitness is cross country ski boots re-defined. Designed, tested, and raced by World Cup competitors, the new Speedmax boots are lighter and faster than ever. Better fit means better performance. New lacing system and highly elastic lace cover stabilize the foot for a more direct power transfer. That power now goes through a lightweight, two-part TURNAMIC® sole. Skaters get a cuff with a Zero Play Hinge for easy linear movement with the lateral support needed for efficient power transfer. Classic skiers get the correct flex for an ideal kick, and a stable carbon chassis so no energy is wasted. Speedmax always means extremely light and extremely fast, for when it comes down to fractions of a second. The secret of speed lies in the finest detail. Or to be more precise, in the molecular structure of the base. High temperatures and pressure in conventional base application processes have a negative effect on this structure. Which is why Fischer has developed Cold Base Bonding: a unique patented process, which retains the homogeneity of the original molecular structures by avoiding heat and pressure when the base is added. The individual pores of the base remain intact in their original form. The previously unattainable wax absorption and considerably improved grindability of the base lead additionally to the best conditions for maximum speeds. As a result, Fischer gives you exclusively unrivalled gliding properties and maximum speed with all Speedmax, Carbonlite and RCS models! Scan-Fit® offers a digital solution for determining correct boot sizes in the comfort of home, and also provides users a range of valuable new information about sizing: The app determines detailed information about the user’s individual foot dimensions, as well as clarifying the often confusing Mondopoint sizing system. The advantages of Scan-Fit® are not limited to just winter athletes. A reliable size recommendation can mean a significant reduction in the number of returns, a real benefit for retailers and for the environment. FISCHER also benefits from this new scanning process by gathering valuable data about the dimensions of athletes’ feet, which will be used in future boot projects. FISCHER Scan-Fit® has been available since December 1st, 2018 and can be downloaded from wherever apps are available or downloaded.